COLD WAR COUNTERFEIT SPIES Tales of Espionage: Genuine or Bogus? With the help of witnesses with first-hand experience, and recently declassified documents, Nigel West answers fascinating questions from a time when secrecy and suspicion allowed the truth to be concealed. 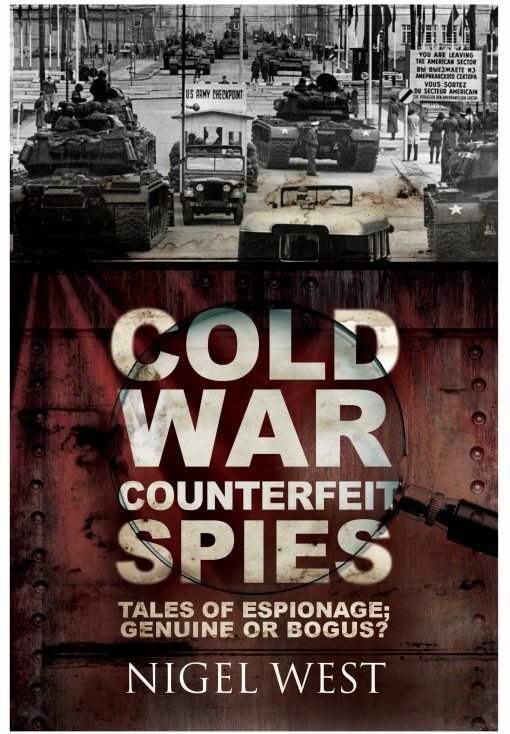 The Cold War, with its air of mutual fear and distrust and the shadowy world of spies and secret agents, gave publishers the chance to produce countless stories of espionage, treachery and deception. What Nigel West has discovered is that the most egregious deceptions were in fact the stories themselves. In this remarkable investigation into the claims of many who portrayed themselves as key players in clandestine operations, the author has exposed a catalogue of misrepresentations and falsehoods. Did Greville Wynne really exfiltrate a GRU defector from Odessa? Was the frogman Buster Crabb abducted during a mission in Portsmouth Harbour? Did the KGB run a close-guarded training facility, as described by J. Bernard Hutton in School for Spies, which was modelled on a typical town in the American mid-west, so agents could be acclimatised to a non-Soviet environment?